Introduction to principles and design of electronic circuits, electronic and mechanical data, constructional articles (including some previously published in magazines and journals), amateur radio and GPS. 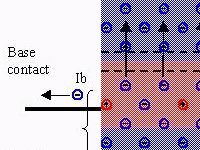 Describes how semiconductor diodes and transistors work in terms of a basic introduction to their semiconductor physics. 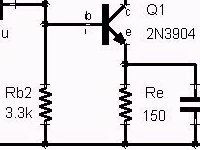 Explains why biasing is necessary, and describes biasing methods for devices such as bipolar junction transistors, JFETs, MOSFETs and MESFETS. Describes the construction of transistors, from the earliest types, illustrating the development of fabrication technology through to the bipolar junction and field effect families of devices and how they began to be integrated into multi-transistor chips. 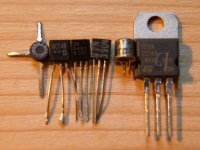 Describes the history and fundamental principles of the core members of the valve family: the diode, triode, tetrode and pentode, and their operating characteristics. 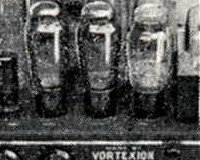 This article shows how the triode valve is used as an audio frequency amplification stage, examines methods of coupling signals between stages using capacitors, along with some comments on other coupling methods and valve types, and includes examples of practical circuits for a 3W RC coupled triode amplifier, and a 5W pentode amplifier, and considers the similarities with field-effect solid-state devices. 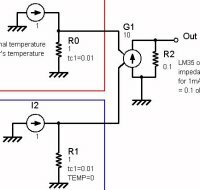 Shows how the popular, common LM35 temperature sensor can be simulated using a SPICE model. Describes the technical basis of Global Positioning Satellite (GPS) systems that can be used for tracking vehicles and how a tracking system can work in practice. 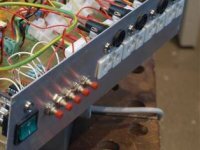 This light sequencer has been designed for future expansion by means of a plug-in module, for functions such as sound-to-light. 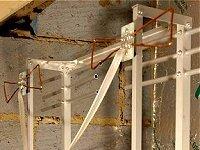 Interested in building a TV Antenna to fit into a restricted space, maybe in a corner of a loft? 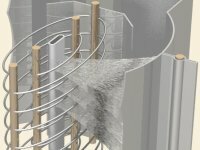 Then you may find this article of interest. Suits UK Freeview and other systems in a similar frequency band. 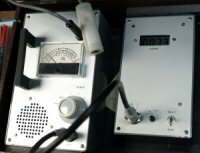 This article describes the principles and construction of a Geiger-Muller radiation monitor and counter, that I had published in Electronics Today International, February and March 1987.